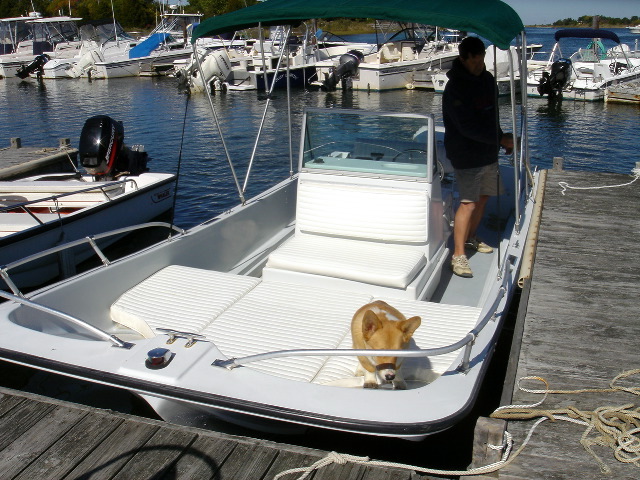 Family runabout, ski boat, bimini top to keep the sun off the kids. simple, safe and fun! Johnson 115 hp, bimini top, cushions for lounging/sunbathing, cruise it ski it or run it up on a beach for a family picnic!! This boat can comfortably carry 6 passengers, though it's quite nice for just 2 as well.